The KX3 isn’t getting much use as I would like. So far I only used it one other time this year while camping in Vermont. 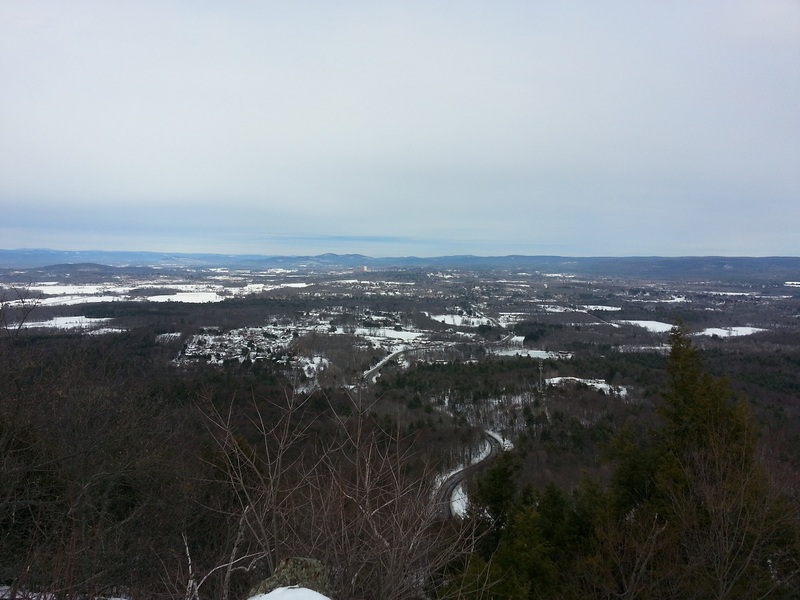 I need to get out more so I took advantage of mild day and decided to go out and activate a local mountain. 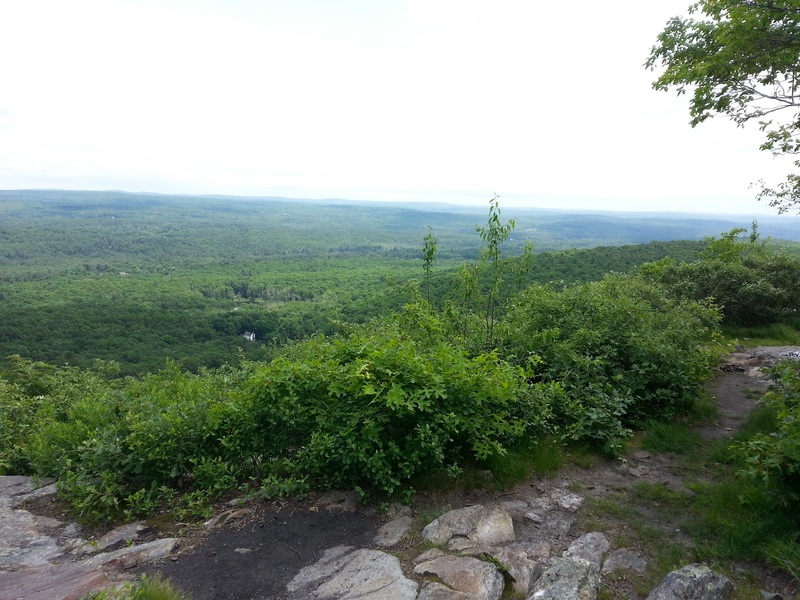 I decided on Bare Mountain located on the Amherst, South Hadley and Granby border here in Western Mass. View of the CT river from my operating position. 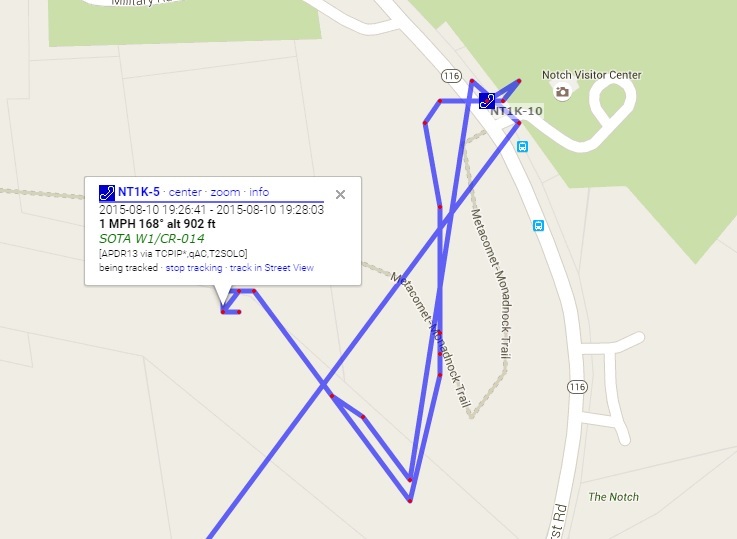 APRS Track of my activation. I used the Internet Gateway along with my phone to let people know I am at least moving around. Soon as stopped huffing and puffing, I was up and running within a few minutes. 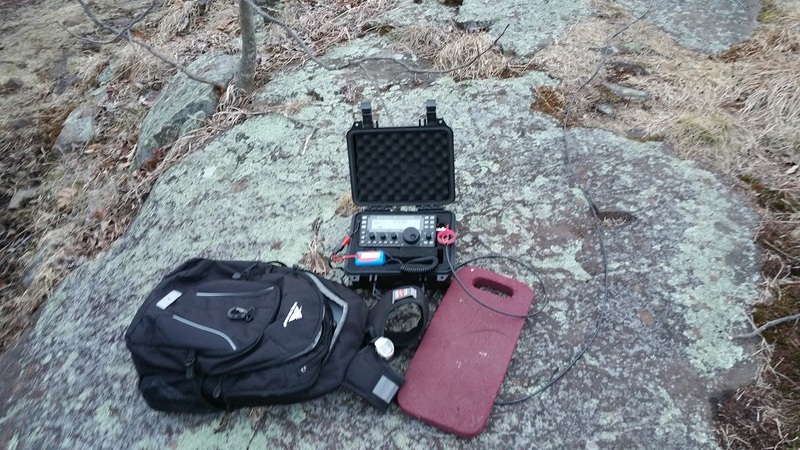 I currently use an Elecraft KX3 with the internal Antenna Match, internal batteries and for the antenna I use a G5RV jr supported by a 31ft fiberglass pole. The antenna is setup in an invert V configurations. 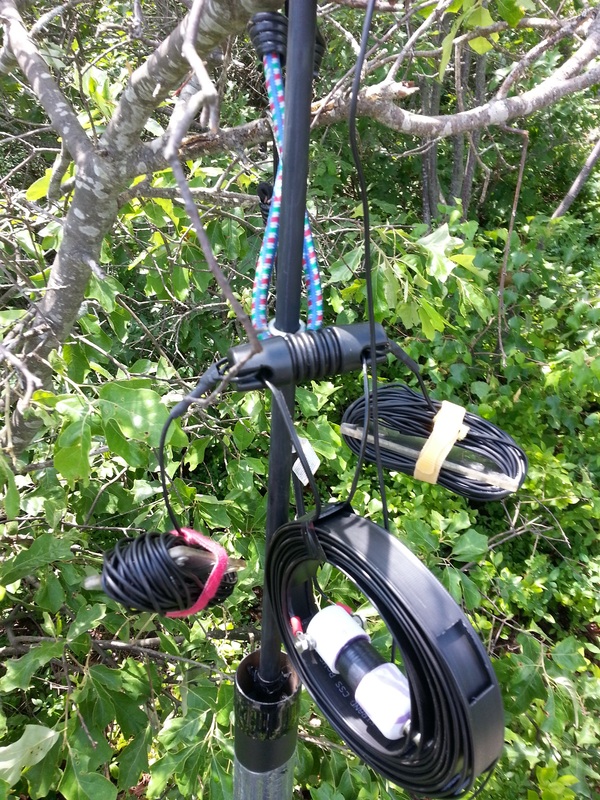 I secured the ends of the antennas to near-by trees using bungee cords. 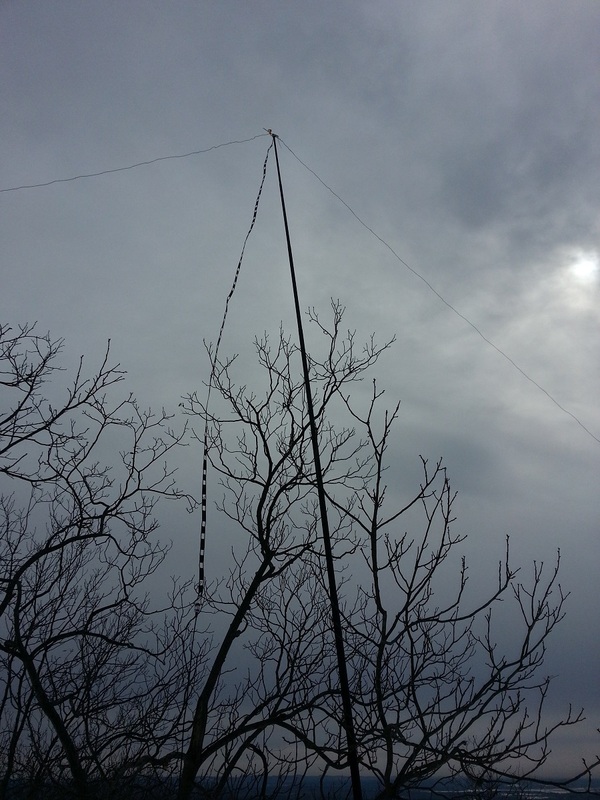 The mast was also secured to a smaller tree with elastic cord as well. It allows for a quick setup and everything breaks down to fit into my pack with the exception of the mast that I use as a walking stick. Once the stations was setup, I found what I thought was a clear frequency and posted it up on SOTAwatch. Sure enough, soon as I sent the spot, someone came on frequency. My QRP signal was not going to compete with a DX station constantly going “Ooooola, OOooooooola”. 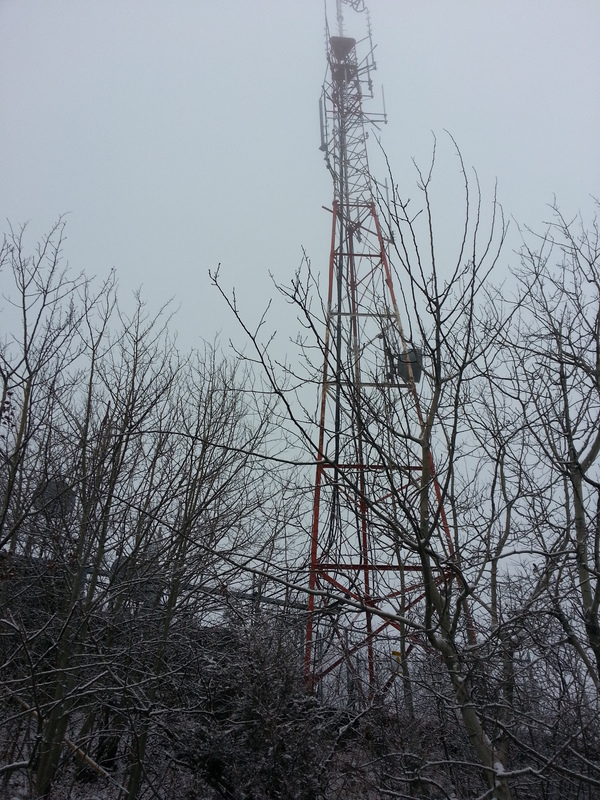 After a couple more frequencies, I found a nice spot and went on the air. Here is a video I made of my SOTA experiance. Since it’s 0:00z, it’s considered a new day so people get to work me again for an additonal point. However I won’t get credit for it since technically I already activated it the day before even though it was only a couple of minutes. Not too bad. This was all using AA’s in the KX3 so the power was around 5W. I started getting battery low alarms towards the end of my activation. I’ve since “blew up” my lipo pack so if I keep doing activations, I will get my hands on a battery pack so I can run up to a whopping 12 watts. 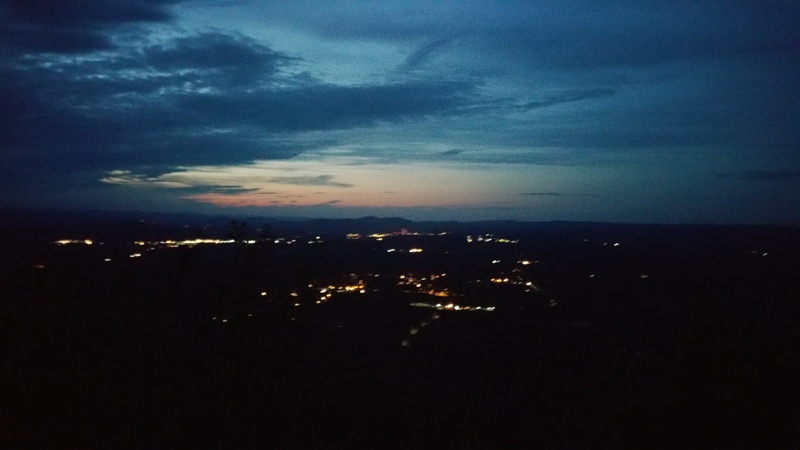 There was twilight on top of the summit made me think I can navigate down the mountain before it gets too dark. I was very wrong due to the thick amount of trees that blocked out any possible light. I was almost pitch black with the exception of the street lights at the base of the mountain. However I knew this was possible and packed flashlights and headlamps that made the hike enjoyable. 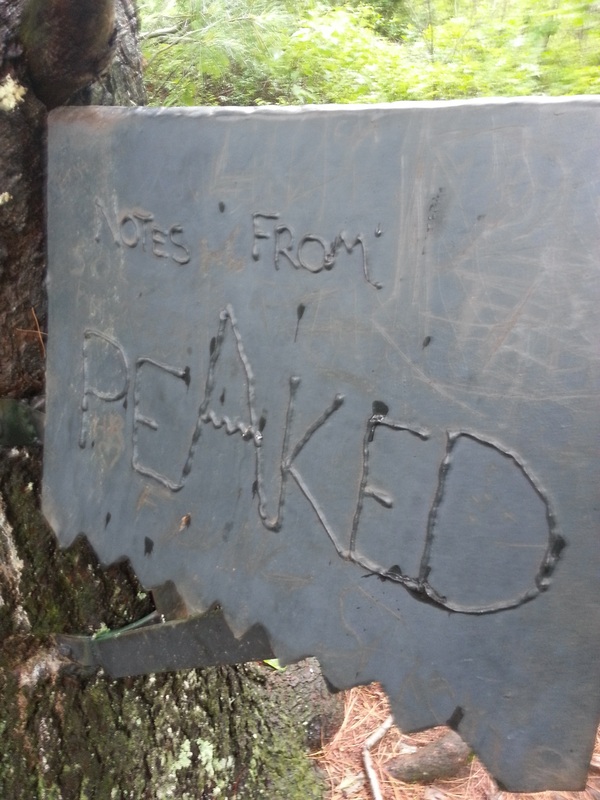 I also used my cheapie HT to talk to locals on the repeater that made the hike feel much faster. I always to learn from anything I do. I’ve learned that I need to get out more (doi!) but I also see the importance of a “Go Bag”. 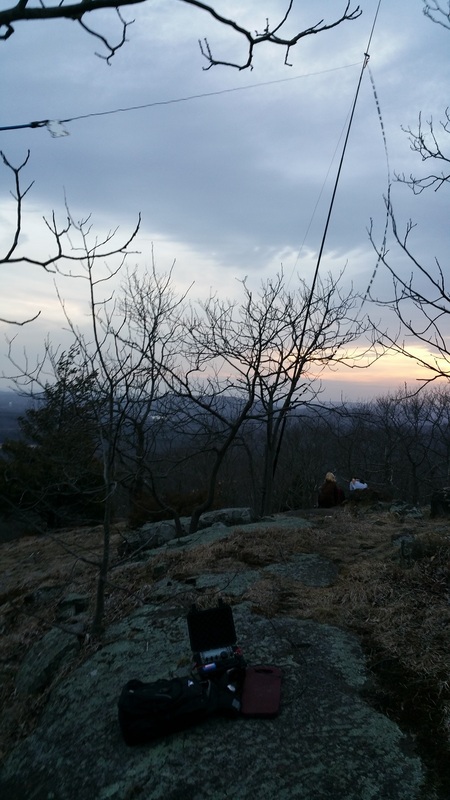 I often don’t plan my SOTA adventures until the last second. Because of other vacations and other portable operations, all my gear was spread around in different places. I’m going to purchase a dedicated pack just for summits on the air. I’m not going to make the typical whacker go-box. I like to pack minimal so it will be just what I need to get on the air. I don’t need the kitchen sink. 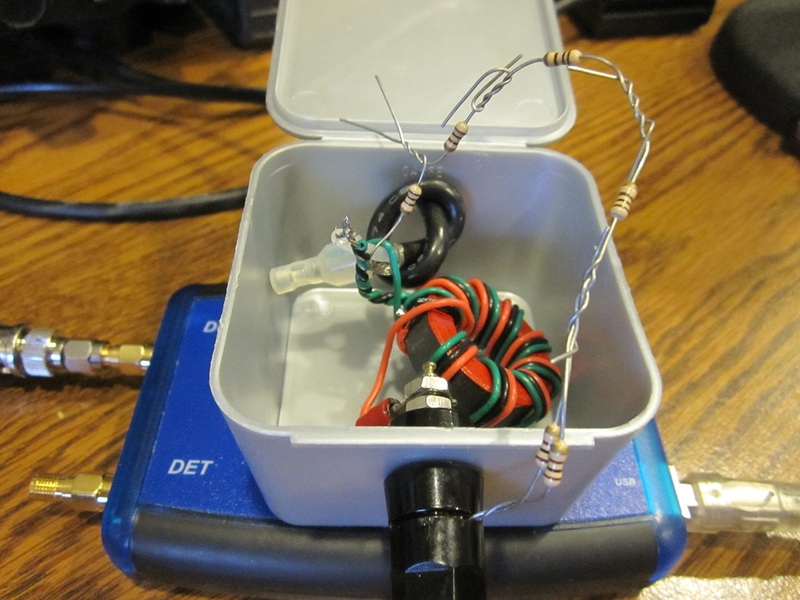 Funny thing is that I tend to make more QSO’s with the less gear I bring. However self spotting on SOTAwatch does make things a lot easier. 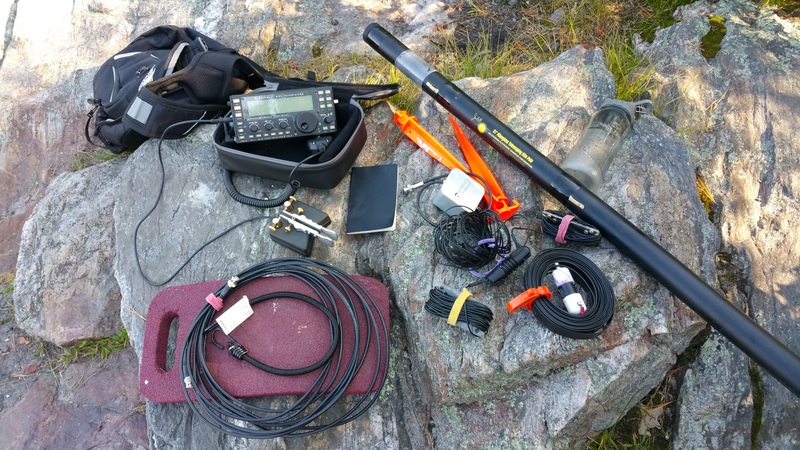 I still want to try a SOTA activation without advertising it. I had an excellent time like usual. Thanks for reading. Hope you like the youtube video. 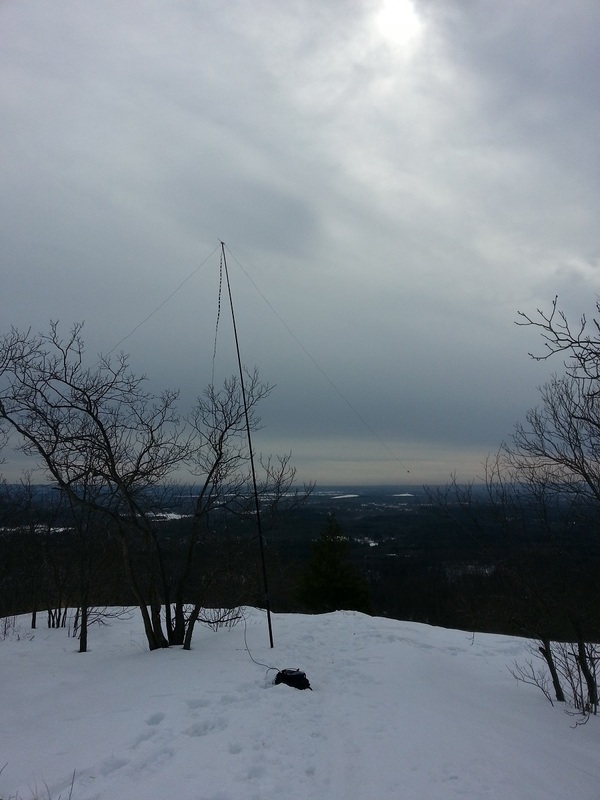 Since it was a warm weekend than normal, I decided to take advantage of it and hike up Bare Mountain in Granby/Amherst area in Massachusetts and do a SOTA Activation. Since this was a spur of moment thought, I didn’t have time to properly prepare my equipment. However usually when I come home from an activation, I take the time to repack my bag and make sure all the basics are included because I know I’ll be grabbing it with short notice. 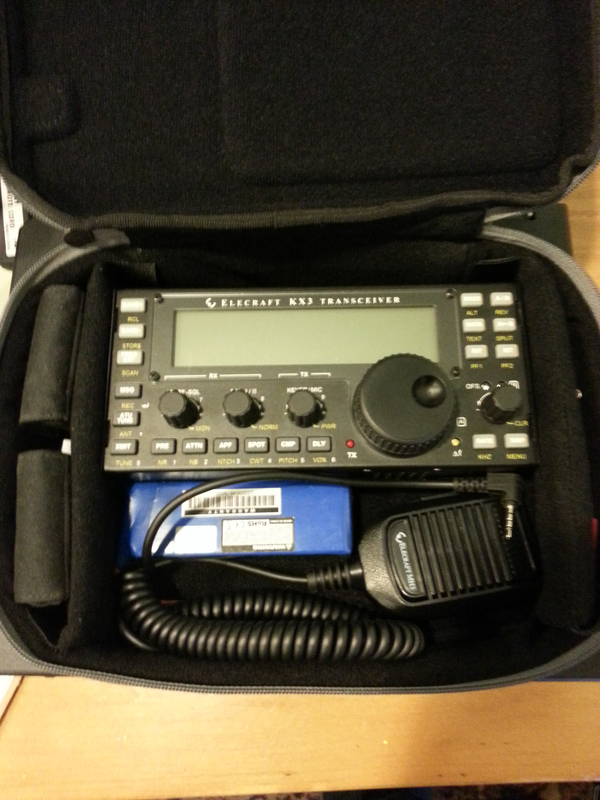 I could consider it my “Go-Kit” as it’s an entire HF station with antenna that fits into a small backpack. For this trip I didn’t even charge the battery from the last activation. Since I’m using a 3 cell (3S) 2200mAh RC/ battery with each cell being 3.7v, The battery pack will be fully charged at around 11.1v to around 12.6v. The KX3 Folds back TX power from 10w to 5W when the voltage dips below 11. This does not give me much room to play with. I am able to do an activation at 10W without much issue. 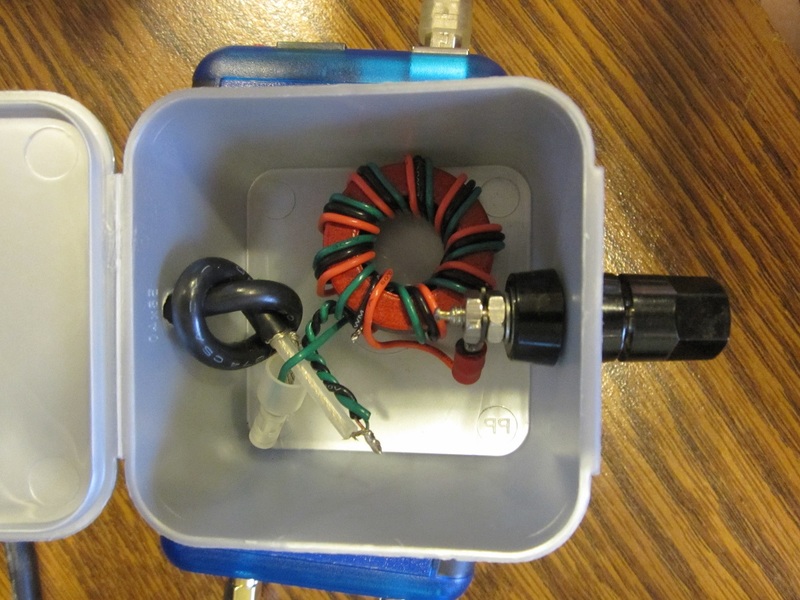 If the TX power folds back, it’s usually at the end of my activation so my last contacts would be at true QRP levels. I could purchase a LiPo or LiFePo4 battery that has the proper voltage but that could end up costing me quite a bit of money compared to the cheaper RC batteries used in Quadcoptors and similar. 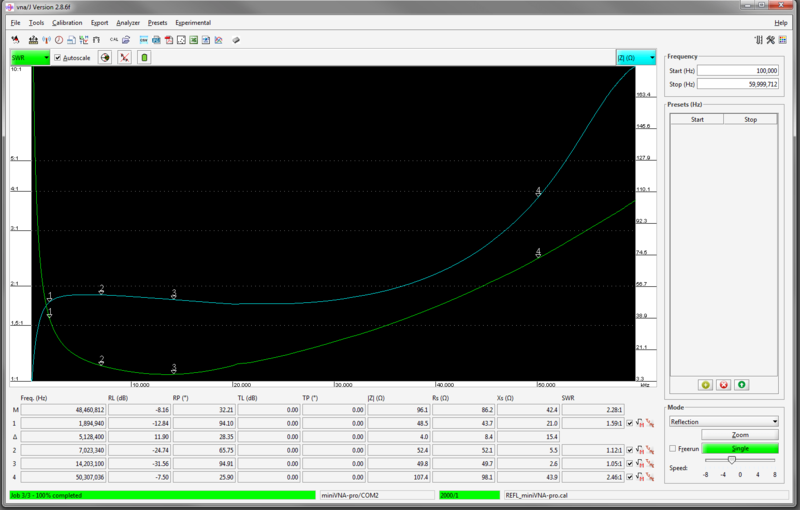 The other option is purchase a 4 cell battery which could gives a 14.8 to 16.8v. 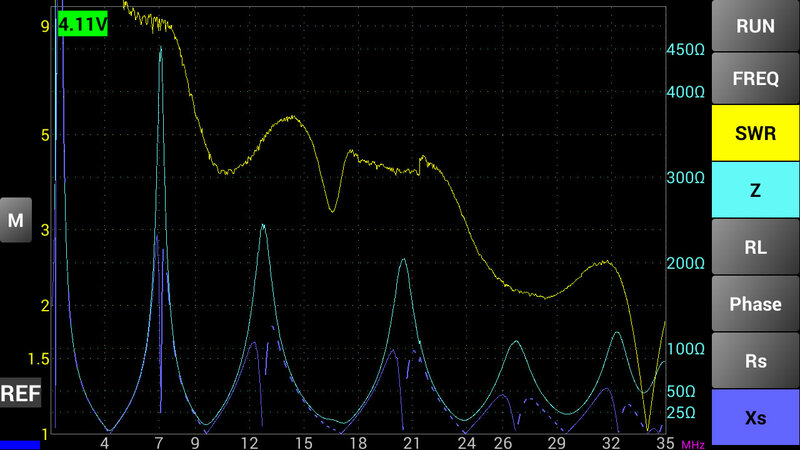 It’s a little too much for the KX3 but you could step down the voltage using a couple diodes inline until the voltage drops below a certain point. The downside to that is the diodes will heat up. I’ll stick with the 3 cell for now but I should buy more and alternate them. At $10 a battery, you really can’t complain. Even though it’s short notice, there is some preparation that is needed before you leave. Besides making sure you have everything and double checking, it’s strongly suggested that you submit an activation notice (alert) to SOTAwatch.org. Even more so if you’re a CW operator. That way people will expect you. You wouldn’t want to spend all this time hiking and setting up gear to make zero contacts. Since SOTA is gaining more popularity, it means there are more chasers and activators participating. There will always be someone listening out for you as long as you tell them when and where you’ll be. 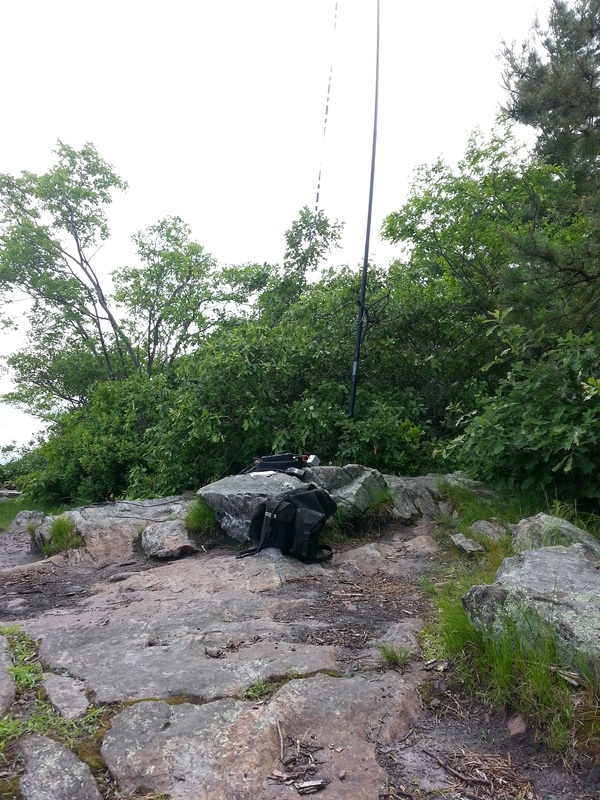 Cell/Data service at the summit is a huge advantage as you’re allowed to Self spot on the SOTA Cluster. CW ops have it even easier because if you send an alert through SOTAWatch, when you start calling CQ the skimmers will pickup your signal and automatically spot you on the SOTA Cluster. That’s pretty darn neat. I know people that have been involved with SOTA for a long time and they’ve told me stories of how they failed to make the minimum of 4 contacts. I have yet to have one of those activations and I hope it never will happen. Once everything was setup and checked, Out came the logbook and sent a spot over SOTAWatch.org. It didn’t take long for the traffic to come. There were times where I had pileups to work me which is real fun. Operating conditions. Notice the lack of seat. The following operators worked me from the summit, if you worked me and you either see your callsign wrong or not there, please contact me. I had a real hard time trying to write down calls correctly and It’s possible that I messed up your call. I try to check each contact against QRZ.com’s DB. It’s even better when the profile mentions SOTA as it makes me feel better the call is correct. 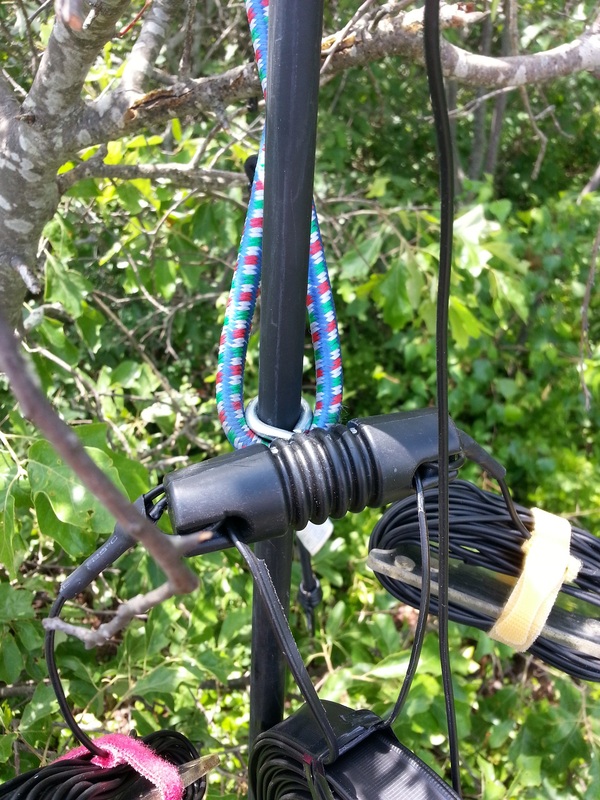 Over 45 contacts were made, I also chased some DX I heard while scanning around the bands and chasing other SOTA activations. I’m glad to make a couple Summit to Summit contacts which to me is more thrilling as we’re both on summits with less than ideal operating conditions. There were a lot of other hikers up at the summit and some came over to talk and were amazed that I was contacting Spain and England considering what I had. 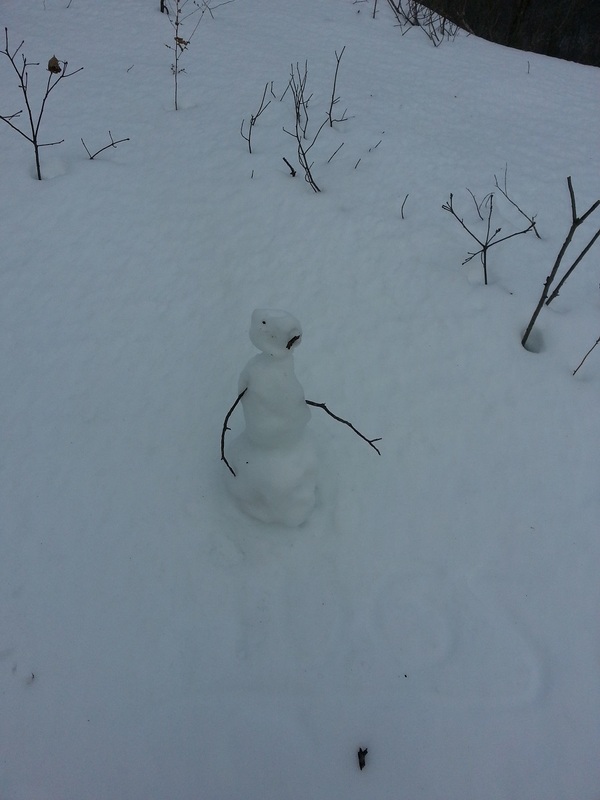 I could have stayed longer but Kneeling in the snow wasn’t helping me out. I need to find an easier way to be more comfortable during the winter activations. Thinking about using a kneeboard that I can attach my radio to that also has a clock. The hike down was a lot harder than the hike up. I kept sliding and had to use my antenna mast as a walking stick at times. Besides having extra batteries, I think some kind of seat or something that would allow me operate more comfortable. 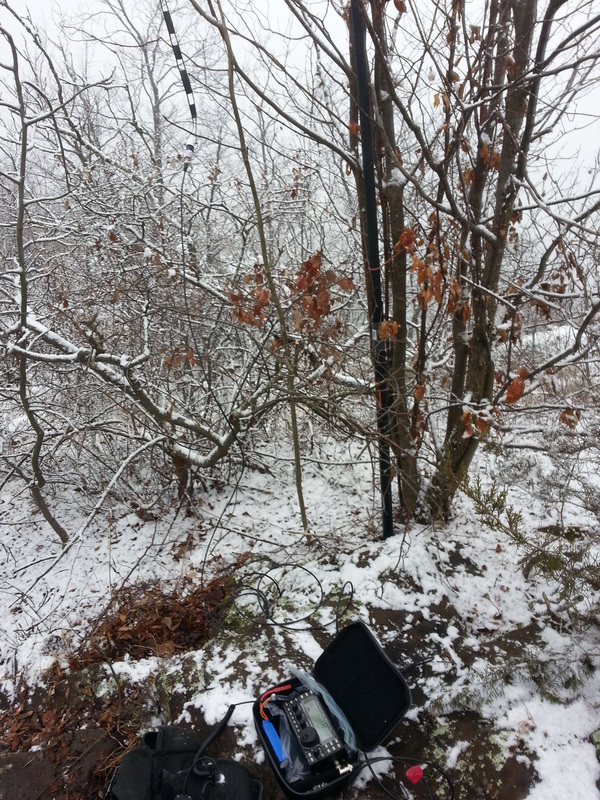 I was either standing or kneeling down in the snow which was more damaging to me than the hike. It was extremely difficult to log contacts while holding the microphone. It’s a new year! For those who are into activating summits, this means we can go back out and activate our easy and close-by summits that will count for points. 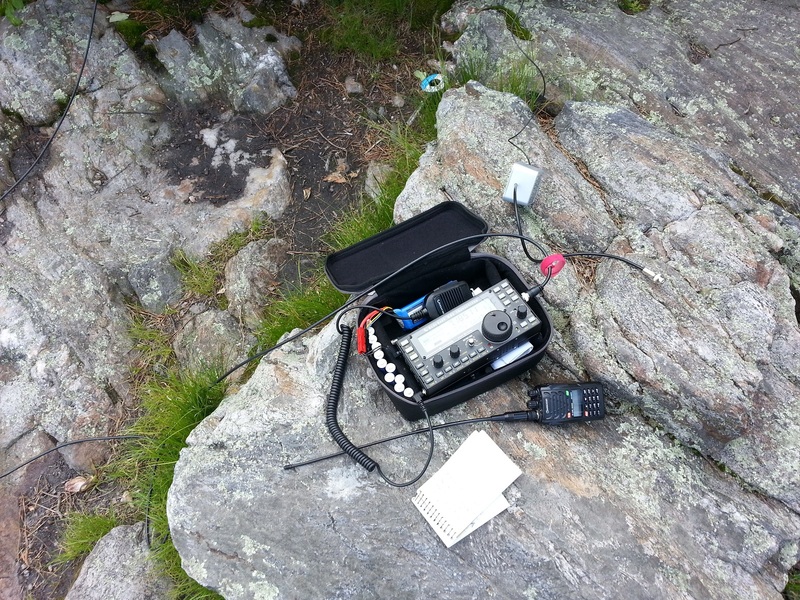 A known SOTA activator in the region (Doug, W1DMH) was going to be in the area activating a couple summits which caught the interest of a couple other hams in the area.. It was reported that it was going to be a rain/sleet/snow mix for the entire day so I was under the impression that I wasn’t going to be out. While out running errands, I’ve noticed it was clear enough so I ran home, got my gear and went to Mt. Tom. It’s been awhile since I activated any kind of summit. I would also say it was the last time I really ever “exercised”. The hike up was not easy. 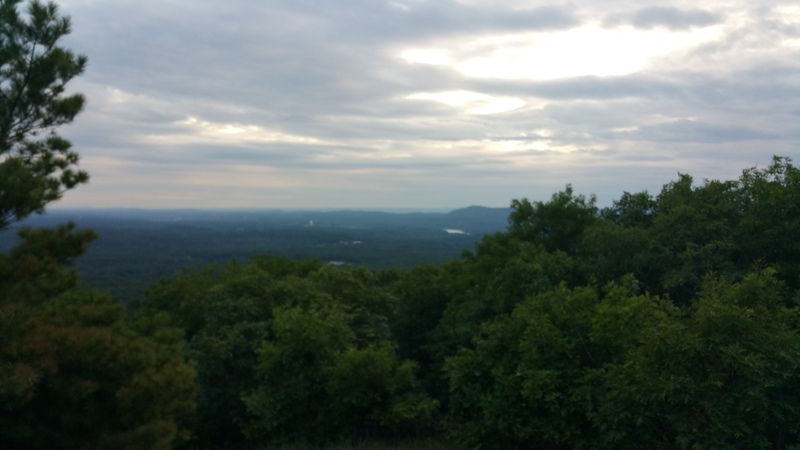 I had to stop a few times to catch my breath and I ended up taking baby steps to the summit. 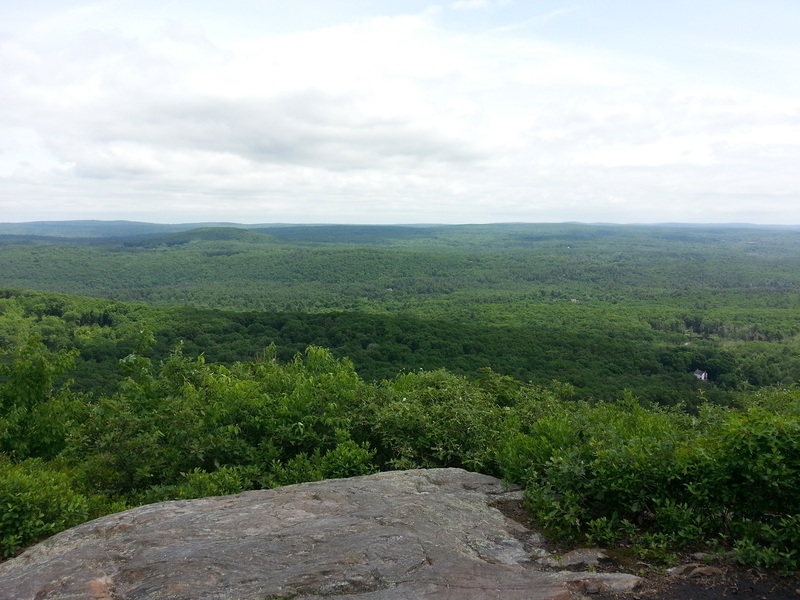 Once I got to the top of the mountain, I was able to catch my breath but then I had to setup shop. Visibility at the summit was poor due to weather. Due to other activators in the area were already on the air, I had no time to walk around to see what was up. 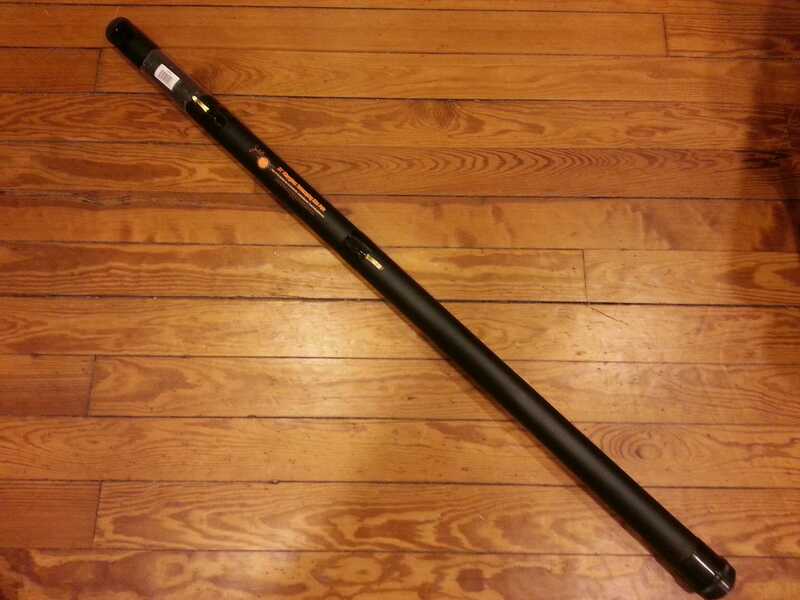 I ended up going with the 31′ Jack Kite Pole. I wouldn’t say that it’s the best choice for activities like SOTA. Soon as I got it out of the box, the threaded cap came off. It happened more than once which caused all the sections to fall out. I’ve also read reports of the top sections breaking under light loads. To be fair, it was designed to be use with kites. To combat the issues, I’ve removed the top two sections and made a sheath using left over outdoor canvas that I used for my Elk antenna. The sheath has a shoulder strap that allowed me to carry the pole w/o much issue. 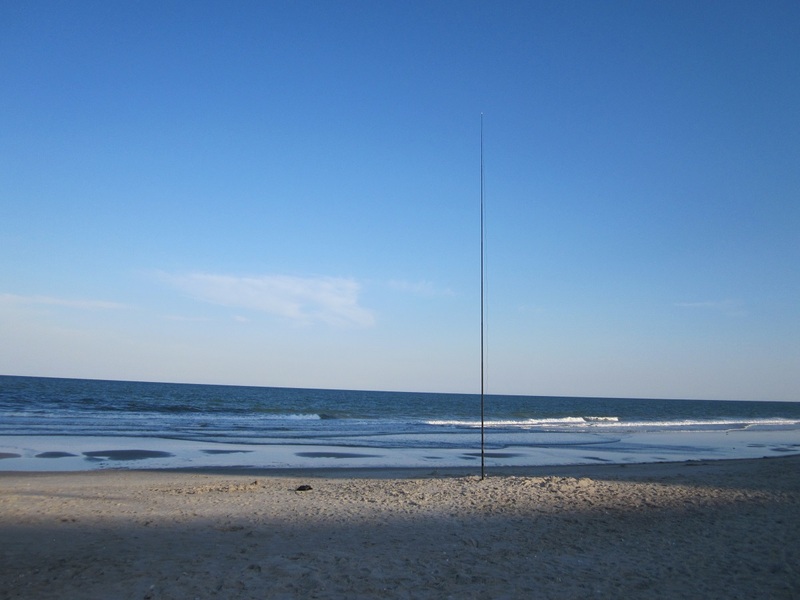 Here is the kite pole with antenna mounted to the top. In past activations that included the same exact spot, I’ve used a Mini G5RV by throwing rocks with a rope attached into the trees. 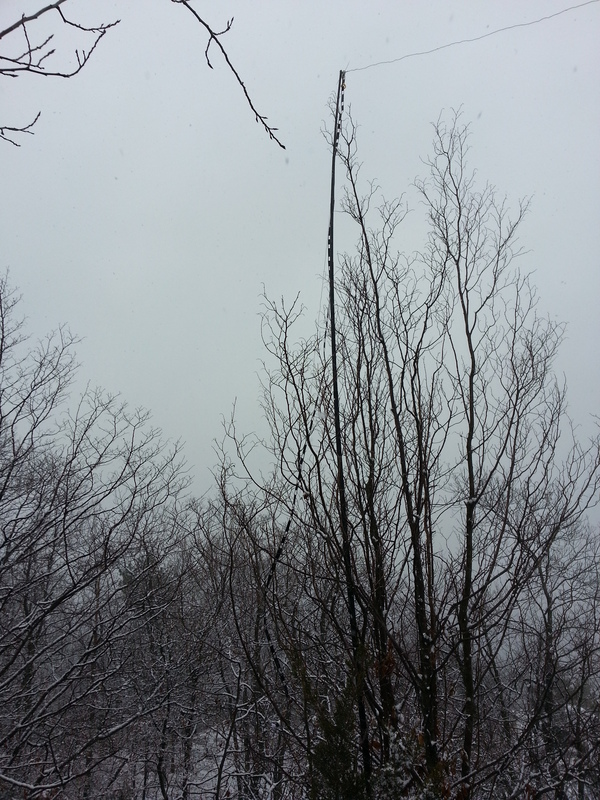 The trees on some of these summits are not that tall and could only manage to get the antenna 6ft off the ground. It worked but I could have done better if it were higher. This time with the kite pole, things went much faster even though I had some issues with getting the wire snagged in nearby tree branches. I try to stay as minimal as possible. Even more so if know the layout of the mountain/hill. What you see in the above photo is what I took up. 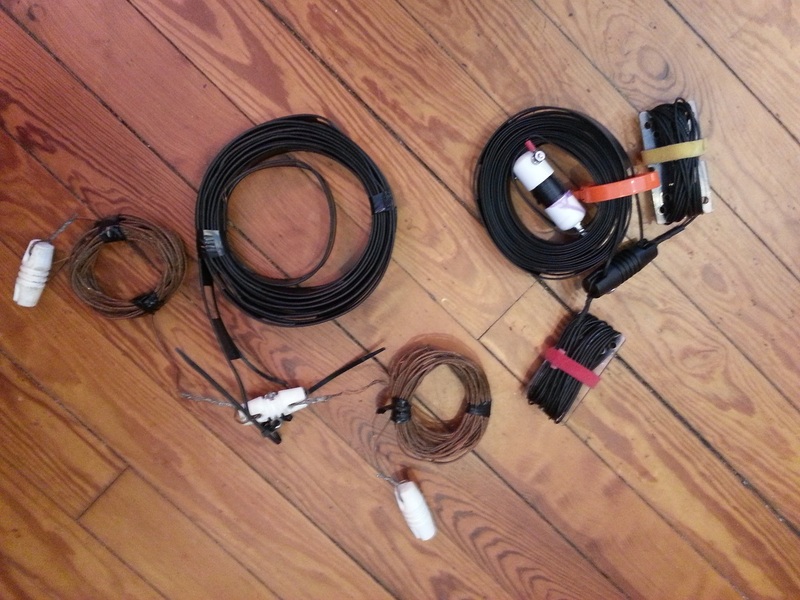 I packed the KX3, microphone, battery, 90 degree BNC adapter, antenna, kitepole, mason line (rope), elastic cord, tape and 2m HT. 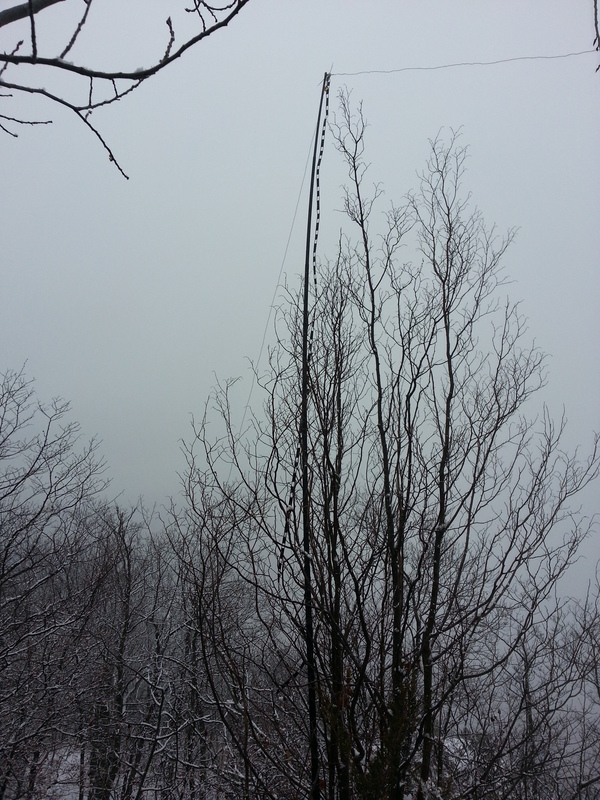 Due to the massive amount of RF that is already present on top of the mountain, doing a VHF activation is out of the question. I’ve heard other people up there trying to do VHF and they always had trouble receiving. 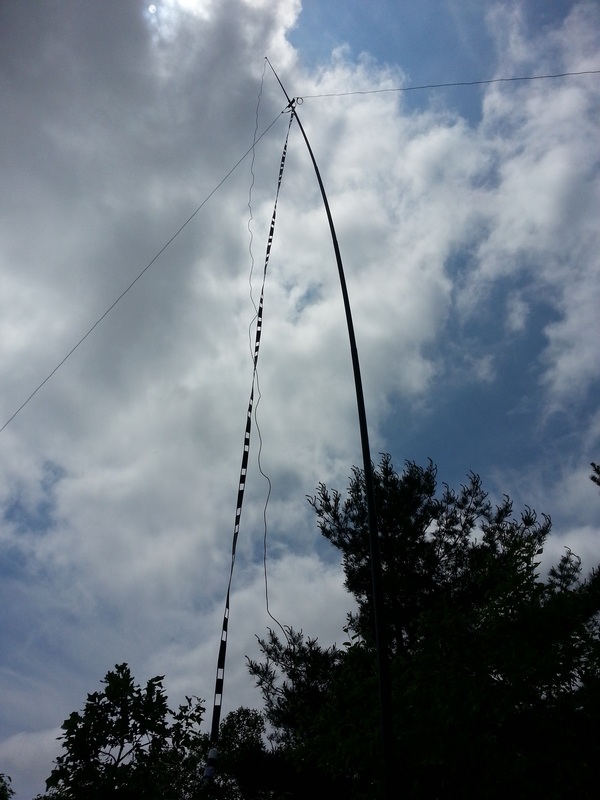 Once the antenna is up, getting on the air is quite easy. However getting spotted or spotting yourself (which is allowed using SOTAwatch) could be difficult depending on conditions and which mode you’re using. I lucked out because I had cell service and was able to spot myself. Since this was last second, I didn’t have the time to give advanced warning of the activation. 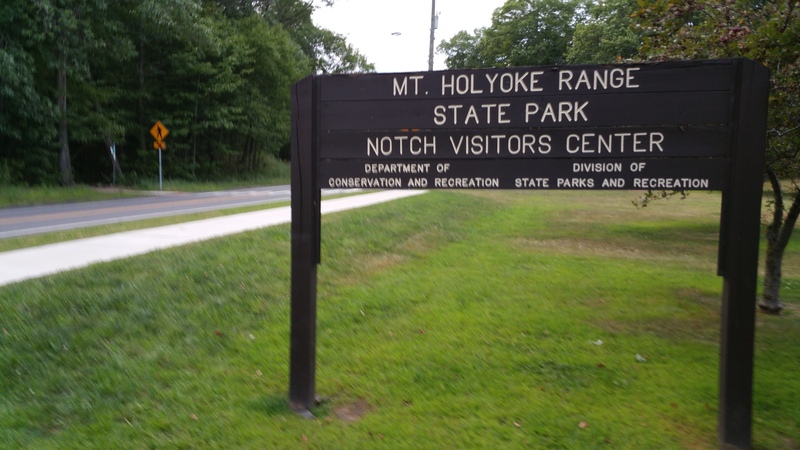 A minute or so after spotting, my first call was from Doug (W1DMH) who was on another summit nearby. This counts as a Summit to Summit (S2S) contact that gives both doug and myself extra points. 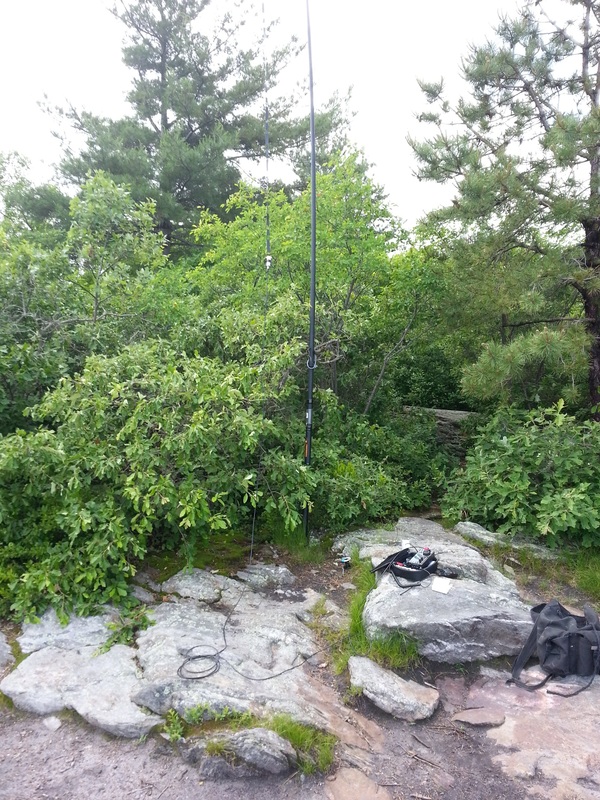 I was hoping to work Jim (KK1W) and Frandy (N1FJ as NE1SJ) that were also on nearby summits but I sort of arrived late to the game and missed out on 2 additional S2S. After the first contact, the rest came in one after another with the occasional pileup. It was very exciting and made it worth the trip up. Talking on SSB with stations all around the US is fun when you’re using low power. I can see why people find QRP to be very rewarding. I also made some DX contacts with stations in Canada, England and my furthest contact with GI4OUL in N. Ireland. Approx 3000mi only using 7W (428mi per watt) is not bad. Thanks to the following who worked me. N4EX 17:44 14MHz SSB Thanks! AJ5C 17:45 14MHz SSB Thanks! VA6FUN 17:52 14MHz SSB 2000mi on 10W TY! 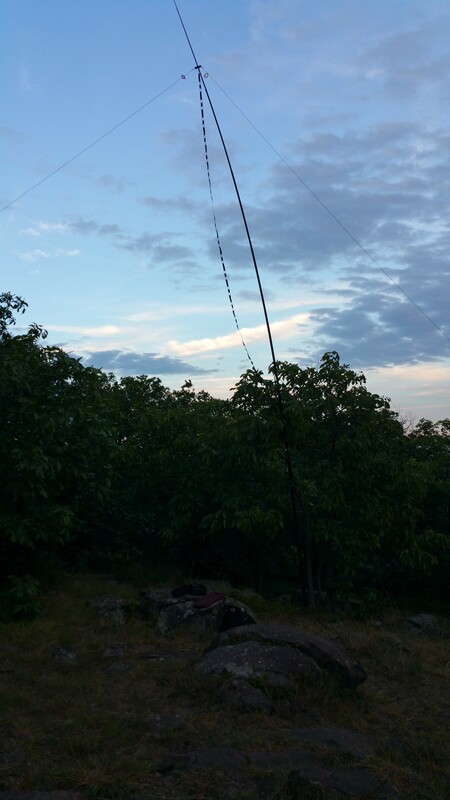 AD5A 17:52 14MHz SSB Thanks for TX! 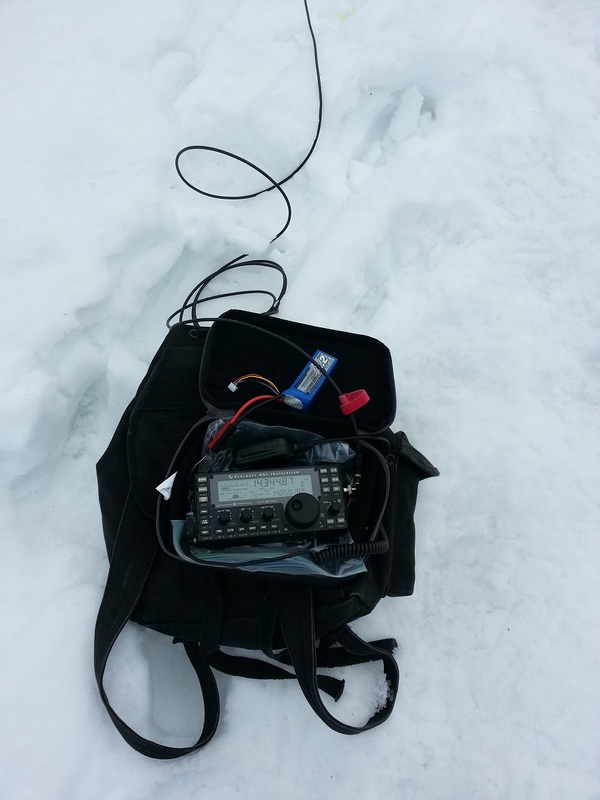 G4UXH 17:54 14MHz SSB Thanks for DX! GI4ONL 18:00 14MHz SSB Thanks for DX! After doing a few summits, some of the callsigns start to become familiar as they chased me on other summits in the past. It’s nice to hear them and it makes it real easy to pick them out on packed/noisy bands. 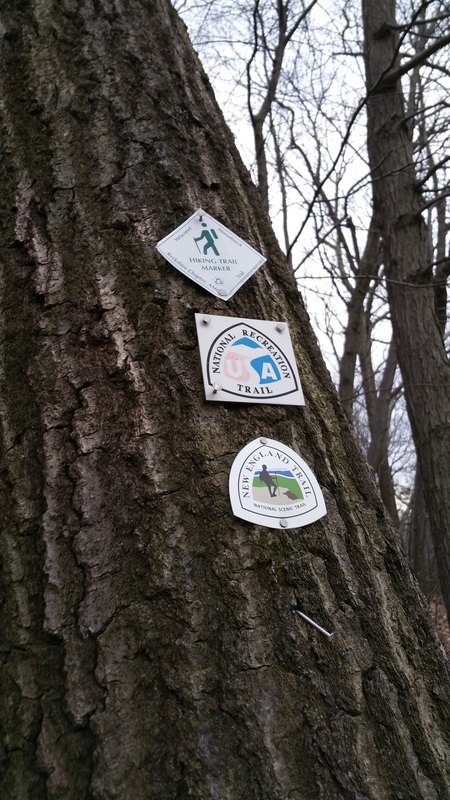 Even though I’ve done over 6 summits alone, I’m still learning things along the way. For example, my logbook. It’s an envelope… Not an logbook. It works but not well. I need some better way to log contacts w/o using some big and bulky notepad. The G5RV needs to replaced with a SOTA version. Right now the current G5RV is using #14 electrical wire and the ladder line is solid core. It’s bulky and tangles to easily. I would like to still use the G5RV as it works well but I would like to use polystealth wire and a ladder line made from stranded cable that was thinner.